You can access a wide variety of snoring solutions on the market. There are products to suit a broad range of preferences and budgets. This includes everything from nasal strips and dilators through to nasal sprays and devices. One device that can provide effective relief from snoring is Theravent Advanced Nightly Snore Therapy. If you are looking for a non-invasive and simple solution to reduce snoring, Theravent Advanced Nightly Snore Therapy could be ideal. This is a convenient and affordable snoring aid that has been proven in clinical trials. The device uses innovative technology to help open up the airways and improve breathing. There are a few different methods that can be used to reduce snoring. Two of these are known as EPAP (Expiratory Positive Airway Pressure) and CPAP (Continuous Positive Airway Pressure). The method used with the Theravent device is EPAP. Theravent is the first EPAP nasal device to be made commercially available for the treatment of snoring and also the first FDA-cleared EPAP device to have been clinically proven to reduce or eliminate snoring. How Does the Theravent EPAP Therapy Work? Theravent Advanced Nightly Snore Therapy helps through the use of its unique technology. This technology is designed to create expiratory positive airway pressure (EPAP) when you exhale. By increasing the level of pressure in the airway, it can reduce or stop snoring. This is a very small device that you apply over the nostrils before you go to sleep. The device covers the nostrils, and when you breathe in the MicroValve Technology kicks in. This then enables you to breathe as normal. When you breathe out again, the valves on the device close so that a gentle pressure is created. This opens up your airway naturally and helps to reduce snoring. The key benefit of this EPAP device is that you can sleep as normal without the use of sprays, machines, or masks. You don’t have to worry about experiencing discomfort and the device starts to work right away. You also won’t get any side-effects from this type of treatment as you might with a nasal spray. EPAP stands for Expiratory Positive Airway Pressure. It is a revolutionary method designed to reduce snoring by creating pressure while exhaling. The pressure that is created provides stability to the upper airway. 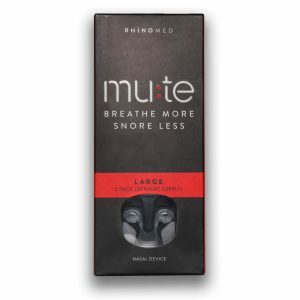 This helps to reduce snoring or in some cases eliminate it altogether. The unique benefit of EPAP is that it uses your own breathing to create positive airway pressure when you exhale. Devices that use EPAP have two small valves to allow air into each nostril when the device is being worn. Devices, such as the Theravent device, are held in place on the outside of the nose by adhesive tabs. It is an innovative method to reduce snoring. This method uses your own breath to create positive airway pressure. EPAP devices are very quick and simple to use, as there are no machines involved. The other method that may be used, and is used specifically for OSA, is CPAP, which stands for Continuous Positive Airway Pressure. This is a method where a continuous positive pressure is used to open the airways. 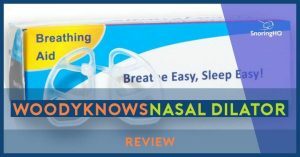 In short, it directs a continuous stream of air down the throat to help you to breathe more easily when you are asleep. By increasing the air pressure in your throat, CPAP ensures your airway does not collapse when you inhale. The method is often used to treat those with obstructive sleep apnea and may help to reduce sleepiness during the day if you suffer from this condition. However, this method can also cause some undesirable effects such as irritation of the skin, dry throat or nose, and abdominal bloating. The major downside of CPAP is that it requires the use of a machine to create the positive pressure. This means you will need to wear a device such as a nasal face mask or a pillow mask when you sleep. It is, therefore, more troublesome and inconvenient than an EPAP device. It is an effective method used for the treatment of obstructive sleep apnea. It can help to reduce daytime sleepiness amongst sufferers of this condition. You can benefit from a non-surgical and non-invasive treatment method. CPAP requires the use of a machine and a mask. It can cause undesirable effects such as dryness of the throat, nasal congestion, bloating, and skin irritation. It can be time-consuming because of the equipment that must be used. EPAP and CPAP are aimed at achieving the same results but the two methods work in different ways. There are fewer negatives with EPAP than with the alternative. In addition, EPAP devices offer a natural and simple solution to reducing snoring. They also provide far greater convenience and ease for users. CPAP requires the use of machines and masks, which makes it the more inconvenient option of the two. It can also cause a range of unpleasant side-effects, which you don’t get with EPAP devices. Obstructive sleep apnea is where your airway collapses, causing breathing to become restricted. Both EPAP and CPAP are designed to create positive pressure to help with breathing. However, CPAP forces positive pressure into the airways using a machine whereas EPAP creates natural pressure from your own breathing.